Campus events not only add fun to the regular humdrum of academic life, they also give students a chance to bring out their creative best. It is during these events that the most prolific bunker may suddenly transform into a strict event manager or the shyest student in class may surprise us with a mind-blowing theatre performance. You can always trust a campus fest to throw up the best surprises! With events galore lined up, October promises to be a fun month for all college goers! At ACADZONE, we’ve done a roundup of the best upcoming campus festivals in the country. Mark your calendar! If the past is anything to go by, then the 14th National Level Students Technical Symposium of Rajiv Gandhi Memorial College of Engineering Technology, Kurnool promises to combine innovative ideas with astounding energy and wide spread participation. The Symposium comprises of two primary events – Workshop and Paper Presentation. With numerous colleges participating and an esteemed panel of judges presiding over the event, the tech fest promises to be one of the very best. Colossus, the annual technical fest of Amity Institute of Engineering and Technology, New Delhi promises to be one of the best technical bashes in the capital. With a lineup of exciting events and competitions such as Hacker’s Elite, Robothon, Encuesta Quiz Competition and many more, the technical fest is definitely the place to be. As an added incentive, there are prizes worth more than Rs 50,000 to be won. Tathva offers one of the finest platforms for students to come forward with innovative ideas in the technological and managerial field. Dedicated to inspiring innovation and technical ingenuity, Tathva has, over the years, managed to garner a large fan following among students. Among the scheduled events are workshops, presentations and other activities. Esya 12, IIT Delhi’s Technical Fest for 2012, is a platform that allows students the unique chance of collaborating with industry experts for hands-on guidance and experience industry standards. The organizers aim to take the fest beyond a regular science competition and inspire students to come forward with unique and innovative ideas, and realize them. The events include Strategum, where participants have to come up with business plans with IT component; Prayatna, where participants have to select a social problem and offer an IT based solution; Appcraft, a mobile applications development competition; Chakravyuh, an online code breaking competition and Hunt IT, a competition of photography, animation and others. 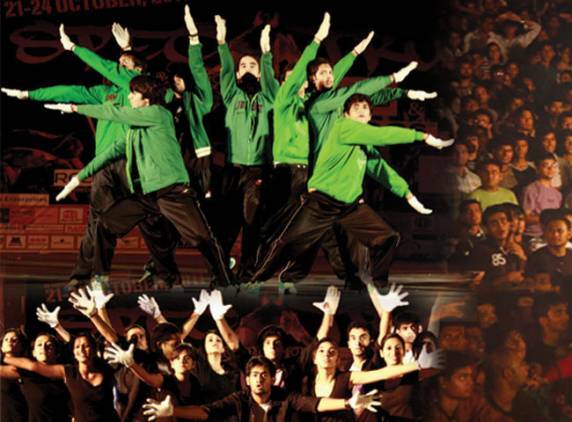 Close on the heels of Esya, the IIT Delhi Technical fest, comes Rendezvous, the IIT Delhi Cultural Fest of 2012. Hyped as the largest cultural fest of North India, Rendezvous enjoys country wide college participation and a lineup of performances by some of the best artistes in the country. The event lineup includes Dhoom which witnesses musical performances by the best artistes in Bollywood. Blitzkrieg is exclusively for rock fans and metal heads while Spectrum is a group dance competition that witnesses an eclectic mix of different genres of dance. Saaz caters exclusively to those who prefer Indian classic while Kaleidoscope brings together an evening of lifestyle fashion show with a choreography dance performance. With many more events promising to make the 3 days a roller coaster joyride, Rendezvous is one event you cannot afford to miss. BITS Pilani’s Hyderabad Campus will be hosting their first annual tech fest ATMOS in October this year. The events will include workshops on android app development, hacking and robot building and lots more. This entry was posted in Campus Events, Colleges and Universities and tagged Amity Institute of Engineering and Technology fest, Amity Institute of Engineering and Technology., BITS Pilani, BITS Pilani fest, campus events, college campus events, college fests, fests, IIT Delhi, IIT Delhi fest. Bookmark the permalink. Post a comment or leave a trackback: Trackback URL.